Go to original pattern for design DROPS 136-32. 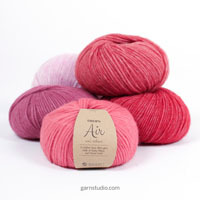 Knitted DROPS blanket in garter st with hexagons in ”Delight” and ”BabyAlpaca Silk”. 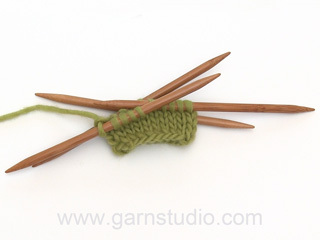 DROPS DOUBLE POINTED NEEDLES 2 x 5 SIZE 3.5 mm - or size needed to get 23 sts x 46 rows in garter st = 10 x 10 cm. 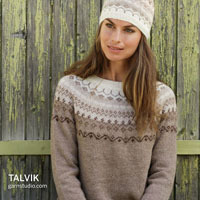 You can get the yarn to make this pattern from	44.00£. Read more. Fasten the threads in Delight continuously. 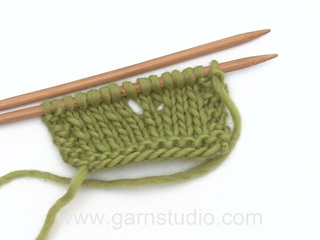 Cast on 6 sts evenly on 3 double pointed needles size 3.5 mm (= 2 sts per needle) with Delight. ROUND 19: Switch to BabyAlpaca Silk. Work * P 1, 1 YO, P 7, 1 YO *, repeat from *-* = 60 sts. ROUND 20: LOOSELY cast off with K over all sts. Cut the thread and keep approx. 20 cm for assembly. Fasten the threads in Delight. Turn the hexagon so that the cast on thread is on the back. 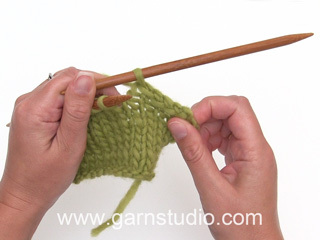 Read KNITTING TIP. Work 130 HEXAGONS in light blue and 129 in beige/blue - see explanation above = 259 in total. See fig. 1. 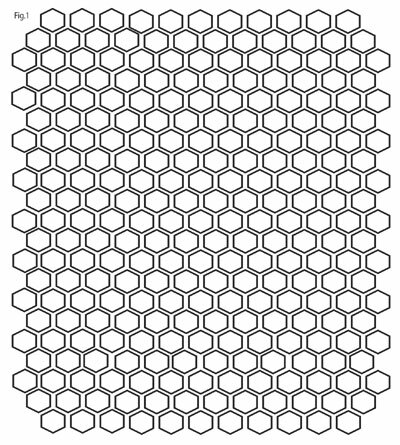 Place the hexagons as you please. Use the thread in BabyAlpaca Silk to sew the hexagons tog in front loop of outermost st to avoid a chunky seam. Hallo, was ist wenn ich keine 6 Nadeln habe und stattdessen die Maschen nur auf maximal 4 Nadeln verteilen kann oder sogar magic loop verwende? Verziehen sich dann die 6-ecke unwiederbringlich? Danke. Liebe Barbara, nein ich denke nicht, dass es sich verzieht, aber es ist viel einfacher zu stricken, wenn die Maschen jeder Seite auf einer separaten Nadel liegen. Hej. På p 7 upprepar du *-* 6 gånger. 2 kast per *-* ger då 12 ökade m. På p 11 upprepar du också *-* 6 gånger, 2 kast per *-* ger 12 ökade m. Lycka till! 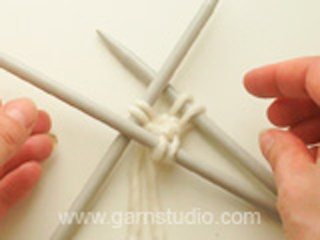 Can this pattern be made on any needles or just double pointed needles? Dear Mrs David Kovar, each hexagon is worked in the round - you can use either double pointed needles or a circular needle (magic loop). You will find relevant videos to help you under the tab "Videos" at the right side of the picture. Happy knitting! Vad får pläden för mått när den är monterad, ungefär? Hej! Jag undrar vilken storlek på stickor som verkligen ska användas. Det står lite olika i början och i beskrivningen. Tacksam för klargörande. Sticor 3,5 eller det nr du måste använda för att få 23 m x 46 v rätst på 10x10 cm! Bonjour Marie-Laure, la couverture est le modèle DROPS n°136-32, cliquez sur le lien sous la photo pour accéder aux explications. Superbe mais où trouvez le modèle?